What's your strategy to make your marriage great? Alot of people expect their marriages/ relationships to ''just work'' but the truth of the matter is that sometimes they ''just dont''!, you need to invest in them; your time, money and resources. The love seems to fizzle away over time and you find yourself longing for things to go back to when it all started, "The rosy days". Have you at some point asked these questions; ''What is happening to us'', ''I do not understand him/her'' you are wondering what has gone wrong. Life is dynamic and so is your marriage, it is also in constant change and you have to understand the mechanics of marriage to make it work. A great marriage is when you click, you want to spend time together, you understand each other, you last fought 6 months ago ( yes! ), you want to be seen with him/her, they make you proud, things are flowing and moving, you are happy! Is your marriage great yet? where are you now? Alot of factors contribute to changes in marriage; birth of children, loss of a job, reduced income, increased income, family setup changes (taking in relatives, in-laws), sickness, death of children,changes in age(aging,midlife crisis),there are numerous. It is important to adapt to changes in your marriage. How? 1. Your Attitude towards your spouse and marriage, you used to be caring and loving,you feel this distance between you and your spouse, conversations have changed, how and why did you develop the coldness? 3.Your conversations with your spouse have become short and generic, lack of intimacy, you stopped calling each other ? why? 1.Have a strategy to make your marriage great- a game plan to make things work. 2. Get the correct information about marriage, prepare for marriage. Moat people do more preparations for the lobola ceremony and the wedding rather than the marriage itself.What model are you using for your marriage? it is not a flawed one? What information on marriage are you exposed to? 3.Have an accountability partner (marriage mentor), every couple must have one, someone you respect and is able to keep you both inline. A marriage mentor who can offer good counsel. Who are you modeling your marriage after? 4. Have absolute agreed statements- , agree that even when things are bad no-one will cheat, no-one will look for a ''painkiller'', Even when you argue or disagree, ''my hand will not touch you'' what are your absolute statements in your marriage? What are the boundaries you will both not cross? Look out for part 2 of the marriage seminar post to follow! Contact Us On: info@drsmchirisa.com to find out more about our marriage sessions, seminars and programmes. Around the age of 15 or 16, Sinikiwe Nikki Kademaunga realised she was different as she did not fit the notions of beauty as per the standards set by the society. Watch how she changed her life. No matter how grim the circumstances, there is always a positive side to every situation. Don’t agree with that thought? 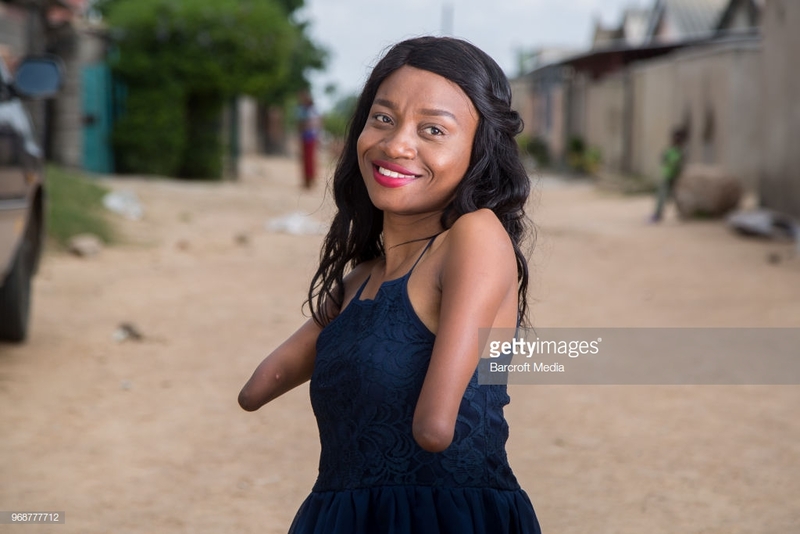 Meet Sinikiwe Nikki Kademaunga, a 24-year-old, who was born without hands and knees but made waves in the motivational speaking and beauty blogging world. Life was not easy for the young girl, who hails from Zimbabwe. “When I was born it was very hard for my family to accept that I was born with a disability because at that time when a child was born with a disability, it was considered to be a curse from God,” Kademaunga said in an interview with Barcroft TV. She now manages to do her own and others’ makeup and hair without hands – using just her arms, which end at the elbow. Although people understood quite little about her and even made fun of her, it was her grandmother, who made sure that Kademaunga’s house was easily accessible. It was around the age of 15 or 16 that the young Kademaunga realised she was different as she did not fit the notions of beauty as per the standards set by the society. However, she battled through it all and worked wonders. No matter how grim the circumstances, there is always a positive side to every situation. Don’t agree with that thought? 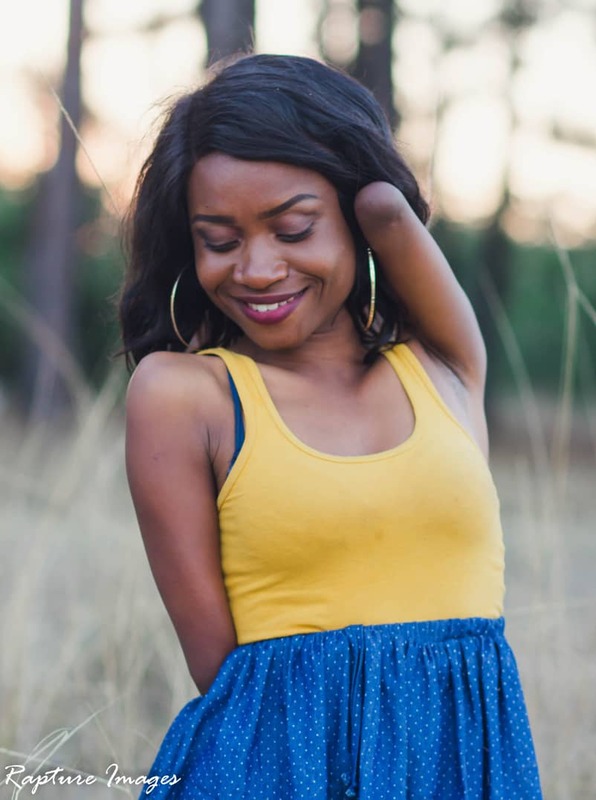 Meet Sinikiwe Nikki Kademaunga, a 24-year-old, who was born without hands and knees but made waves in the motivational speaking and beauty blogging world. Life was not easy for the young girl, who hails from Zimbabwe. Kademaunga said in an interview with Barcroft TV. She now manages to do her own and others’ makeup and hair without hands – using just her arms, which end at the elbow. Although people understood quite little about her and even made fun of her, it was her grandmother, who made sure that Kademaunga’s house was easily accessible. It was around the age of 15 or 16 that the young Kademaunga realised she was different as she did not fit the notions of beauty as per the standards set by the society. However, she battled through it all and worked wonders. Musikana akaremara mitezo, uyo anove mupfupi zvikuru, akahwapura mubairo mukuru wepasi rose wekuve nezvivindi zvekutsetsenura nhoroondo yeupenyu hwaari kurarama semunhu akaremara. Sinikiwe Kademaunga (25) akahwinha mubairo weCourage Award Zimbabwe International Women’s Award (ZIWA) uyo unotsigirwa nerimwe sangano rekuUnited Kingdom. Kademaunga akarondedzera upenyu hwaari kurarama zvine hudzamu padandemutande rake rinoti sinikade.blogspot.com izvo zvakaita kuti ahwine mubairo uyu. “Sangano reZIWA riri kuUK rakandiwanisa mubairo mukuru uyu mushure mekudzidza nezvangu paBlog. 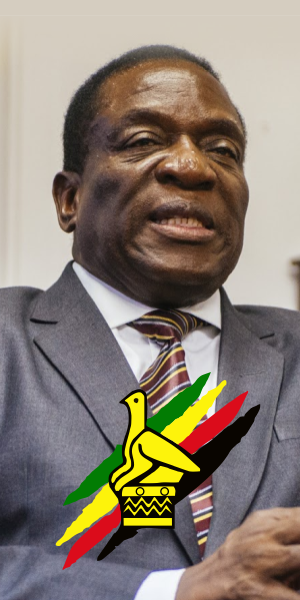 PaBlog iri, ndakange ndichitsanagura nezveupenyu hwangu hwandairarama ndichichengetwa naambuya semunhu akaremara. 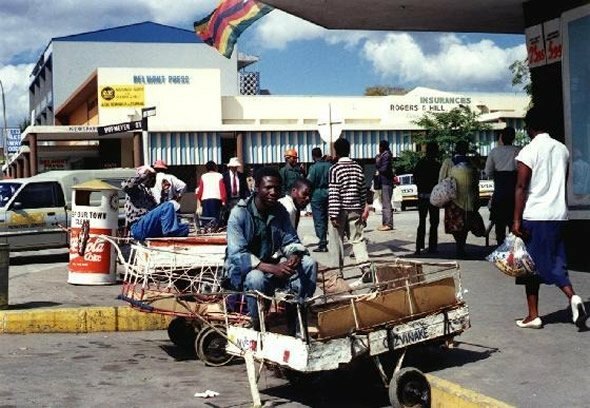 “Ndaitsanangura matambudziko nekufara kwangu, saka vakaona zvivindi zvangu zvekugona kutsanangura upenyu hwangu pane kuti ndinge ndichinyorwa nezvangu nevamwe vanhu,” anodaro Kademaunga. Anoti kazhinji, vanhu vakaremara vanonyara kutaura nezveupenyu hwavo nekuda kwenyaya dzerusarura idzo dzinowanza kuwanikwa munharaunda dzavanogara. “Saka vanotosarudza kurarama upenyu hwavo hwakahwanda uye vasingadi kuti huve nechekuita nevanhu vasina kuremara. Saka kuburikidza nekutsetsenura kwandakaita nezveupenyu hwangu, ndakaratidza zvivindi zvisina vazhinji,” anodaro Kademaunga. Anotizve akave nepfungwa yekutanga dandemutande iri gore rapera mushure mekunge apinda musangano mukuru pazuva rekucherechedza vakaremara, reInternational Day of Disability. Pari zvino Kademaunga ari kuita dhigirii rekushanda neveruzhinji (Degree in Social Work neUniversity of Capetown, kuSouth Africa. “Ndakadzidza kuSt Faith Mission, kwaRusape, uko ndakaita Form 4 yangu ndikabuda nezvidzidzo 8 zvaive nemaA matatu, maB mana neC rimwe chete. 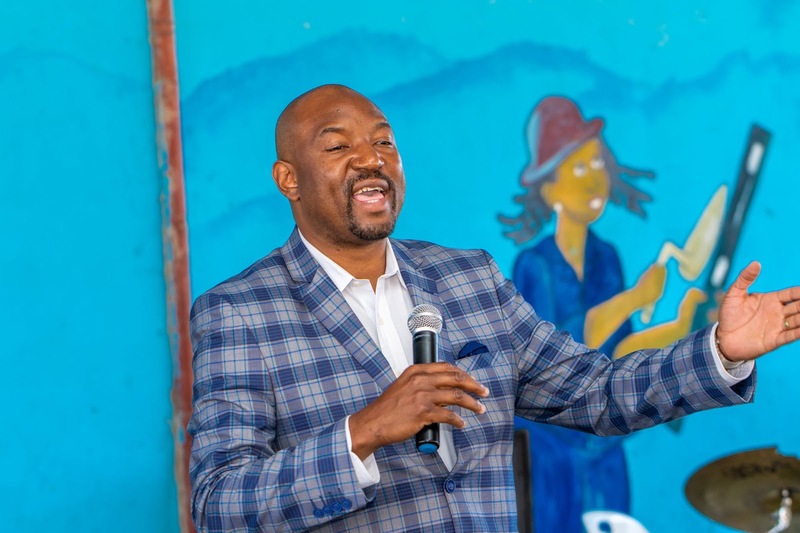 Ndakaita zvakare A-Level pachikoro chimwe chete ichi ndikabuda nemapoinzi 10,” anodaro. Musikana uyu anoti mamwe matambudziko avanosangana nawo sevanhu vakaremara mitezo ndeezvivakwa zvinenge zvisina kuvakwa nenzira yekuti vange vachikwanisa kupinda kana kusvika pazviri. “Zvivakwa zvizhinji kana motokari dzinogadzirwa hazvienderane nezvinodiwa nevanhu vakaremara zvinoita kuti tikundikane kupinda. 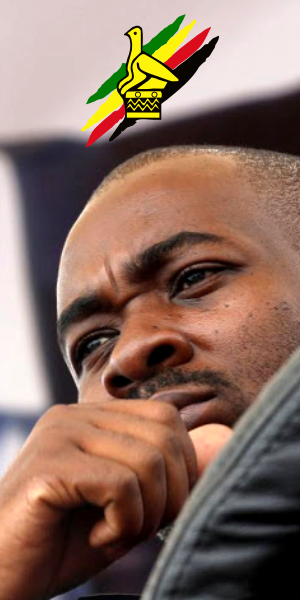 Semuenzaniso, ndinogona kuwana basa pakambani isina ma’elevator’ saka zvinotoreva kuti handitoendi kubasa kwacho nekuti handikwanisi kukwira masitepisi. Zvimbuzi nemisiwo kana zvisina kugadzirwa zvakaderera kuti ndikwanise kuzarura idambudziko,” anodaro. Anoti zvakare mamwe makambani haadi kushandirwa nevanhu vakaremara. Zvakadaro, Kademaunga anoti zvisinei nekuti vabereki vake vose vakashaya, anofara nekutenda rutsigiro rwaari kuwaniswa nehanzvadzi nemuroora wake avo vanomuchengeta. Sinikwe Kademaunga from Harare manages to do her own and others’ make-up and hair without hands — using just her arms, which end at the elbow. “When I was born, it was very hard for my family to accept that I was born with a disability because by that time, when a child was born with a disability it was considered to be a curse from the gods,” Sinikwe told Barcroft TV. Despite her grandma doing everything she could to make her home accessible, and ensure she did not feel too different from other children, Sinikwe said growing up without limbs was still very difficult. Sinikwe began developing her personal style and doing motivational speaking, travelling to schools to teach people about disabilities. Sinikwe said she began posting pictures on social media, and she now gets frequent messages from her close to 7 000 Instagram followers saying how inspiring she is, and that she has given them hope. 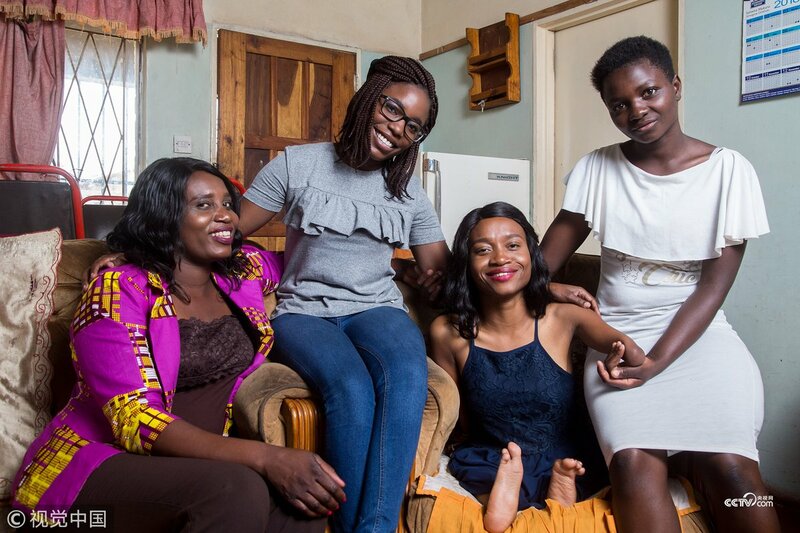 In 2016, Sinikwe received recognition for her courage at Zimbabwe’s International Women’s Awards, and decided to start a blog — Life In The Shoes Of A Short Girl. My name is Sinikiwe Kademaunga, aged 25. I was born without full limbs, which makes me very short in stature. I did my primary and high school at St Faith’s while residing at Jairos Jiri. I am the last born in a family of five and the only one with a disability. My parents died when I was very young. Growing up with a disability is such a big challenge in our society; especially in Africa where disability is viewed as a curse or witchcraft. Such beliefs make people with disabilities vulnerable, because of the treatment they receive from society. I was very privileged to be raised by a very strong and supportive woman. I can describe my grandmother as a headstrong woman who I thought was disabled in her inability to see my disability. I moved in with her when I was two. She looked beyond my disability and accepted me the way I am. She managed to send me to school at the age of 7 at Jairos Jiri Rusape. This cruel world gets us down with its blows everyday but then there comes around someone who just changes the way we see ourselves and our lives, for the better. One such amazing person is Sinikiwe Nikki Kademaunga. Born without hands or knees and legs, Sinikiwe is disabled in a way we could never even imagine. While she had a difficult childhood, with people looking at her a certain way, and her family having a hard time accepting her disabilities, considering it a curse from the Gods; the 24-year-old has turned her life around and how! Living in Harare, Zimbabwe, Sinikiwe’s grandmother was the one who made sure their home was accessible to her, and while daily tasks like eating and writing came easily to her, you’ll be pleasantly surprised to know that the beautiful young woman not only does her own makeup (including wearing a wig), but that of others as well! But that’s not the only amazing thing about her, it is Sinikiwe’s outlook on life, and her self-acceptance and love that is truly inspiring. Realising very early on that it was the people around her who made her feel different and unsuitable to society’s standards of beauty, Sinikiwe decided that she needed to love and accept, and be kind to herself - and the rest just followed. With so many men and women struggling with self-acceptance and love for the way they are or their own bodies, stories like that of Sinikiwe’s give us a whole new perspective. If someone with difficulties we couldn’t even imagine facing could be so positive and build a fulfilling life for themselves, then what’s stopping us? Sharing her story with the world, Sinikiwe has an Instagram account and a blog where she keeps everyone updated with her life, and she has a great amount of followers, all as inspired by her as we are. To know more about Sinikiwe’s story, this touching video is a must-watch. AN INSPIRATIONAL woman born without fully developed limbs is making waves in the motivational speaking and style blogging world. Meet Sinikiwe Kademunga, the 24 year old Zimbabwean born rock star who lives her life radiating that nothing is impossible in life if you put your mind to it. She was born with no arms, no knees. Although she grew up with cultural, social and economic barriers, she did not let that ground her. Sinikiwe is the winner of the 2016 Courage award for the Zimbabwe International Women’s Awards (ZIWA).She is currently completing her degree in Social Work at the University of Cape Town. Sinikiwe also runs a blog called Life in the shoes of a short girl where she shares her life journey to inspire and mentor other young Africans like herself to be more confident in their own bodies and believe that anything is possible in life despite their physical barriers. What are the biggest challenges you have faced in your life and how did you overcome them? Accessibility is the biggest challenge I faced in my life until today. When I was in high school, I lived about 1,5km away from the school. Walking to and from school was so difficult considering my disability. The school was not accessible at all, there was a lot of stairs and walking around was a challenge. Even at home I was not able to be independent because everything was too high for me to reach. There is nothing as frustrating as relying on other people on a day to day life. Being strong and accepting that is how my life is, made me overcame the challenges. I love the saying “You never know how strong you are until being strong is the only choice you have”. The struggles I face now especially with accessibility make me stay focused on my goals because I want a better life for people with disabilities and myself. Tell us about some impactful initiatives you have taken so far, how successful they have been, what made them a success and what do you think can make them become a continuous and growing impact in Africa? I have been involved in a campaign called #accessiblecitiesforall which was an initiative for an accessible city for people with disabilities. The campaign was quite successful. We are witnessing some of the impacts now. However, in future, it will be nice to have more people with disabilities being more active in such campaigns. Even in Africa, I think it will be great to involve people with disabilities in issues that affect them. Also, the power of the media, it will be great to see more coverage of disability issues in the media, rather than charity cases only. People with disabilities are powerful and able to speak out their concerns. As independent as you are, we know everyone needs someone. Tell us the kind of people you wish to work with in support of your initiatives, and if there are some you already work with? How do they support your cause? I love to work with people who are passionate about disability empowerment and people with disabilities. These are people who are facing the challenges and are in a better position to suggest solutions to their challenges. Now I am working with parents of children with disabilities so that they can be equipped with knowledge on how to empower their children. I am planning on an event in December for parents. I believe that where I am today is because of my grandmother who was strong and able to empower me to be independent. We understand that you want to focus on issues of accessibility and equal opportunities once you are done with school, what other issues interest you and you see yourself getting involved in? I like issues about women’s empowerment. I’m interested in everything about the disadvantaged groups because I feel like they do not have enough voice. I have double disadvantage being disabled and being a woman. This is the area I have already started focusing on although at this point I am specifically working with mothers of children with disability. We can see you are quite comfortable in your own body, which is very inspiring. Have you ever thought of getting prostheses? My physiotherapist tried to give me prostheses when I was so young but I never liked them. Since then I have never tried to get them because I feel comfortable using my own arms. It makes things so quick and easy. Maybe it is because I was born with the disability and I have learnt to do chores without the prosthesis. As a motivational speaker, what do you like your audience to take home with them as the key message? I usually focus on self-confidence, self-love and self-esteem. Mostly my audience is for people with disabilities. However, to anyone who listens to my message, I want them to be themselves in a world full of standards and try to make you like someone else. Different is unique, unique is different. Who are some of the people that inspire you in life? Nick Vuijic: I admire his courage, despite his disability he lives against all odds. Kezya Nunes: She has a disability just like mine. One thing I admire about her is that she is a family woman. One day I want to have a family, she always gives me hope that I can handle a family. My grandmother: Though she passed away 10 years ago her strength and commitment still amazes me. I get inspired each and every day to make her proud. I love nature so I enjoy going to the park, beach or anywhere I can enjoy nature. I also watch a lot of documentaries and reality shows. I enjoy, spending time with family and friends. I read a lot of blogs as well (Hahahaha not sure if I can call it recreation activity). 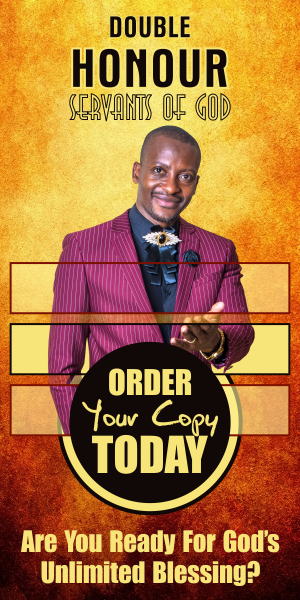 I am reading From the bedroom, to the boardroom by Princess Tsakani Khambule. It is actually a good book for ladies who wants to be both career and family woman. It also enlightens on how to start and run your own business. Thank you Sinikiwe for shaping the way for young people all over Africa. You are the Afrikan Legacy. 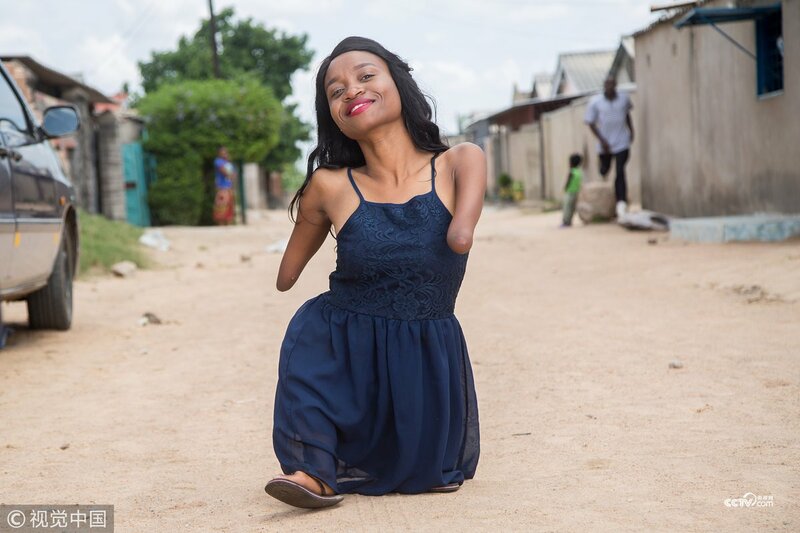 Her name is Sinikiwe Kademaunga a 24 year old Zimbabwean, She was born with no arms, no knees, But to Sinkiwe nothing is Impossible, she broke all odds, shame and all, and strive to survive, be happy no matter what. An inspirational woman born without fully developed limbs is making waves in the motivational speaking and beauty blogging world. Sinikiwe Kademaunga from Zimbabwe manages to do her own and others’ makeup and hair without hands - using just her arms, which end at the elbow. 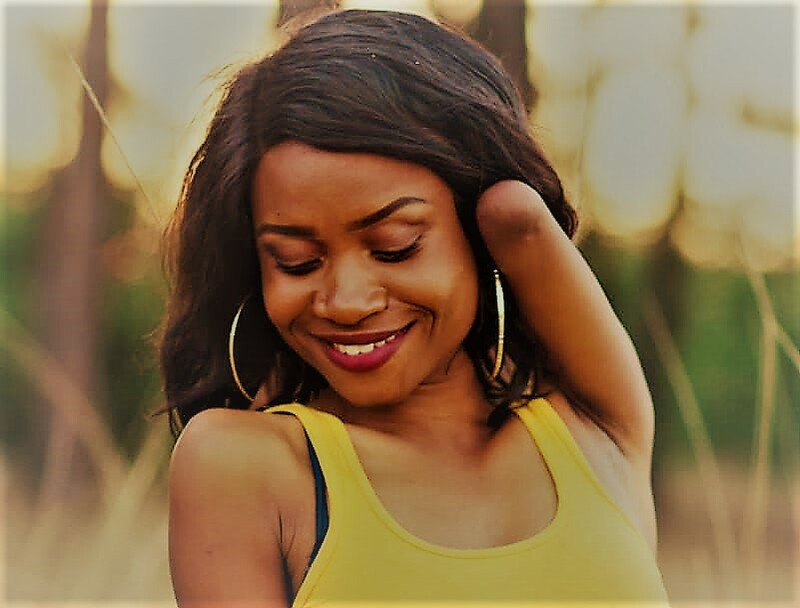 Disability advocate Sinikiwe Kademaunga AN INSPIRATIONAL woman born without fully developed limbs is making waves in the motivational speaking and beauty blogging world. 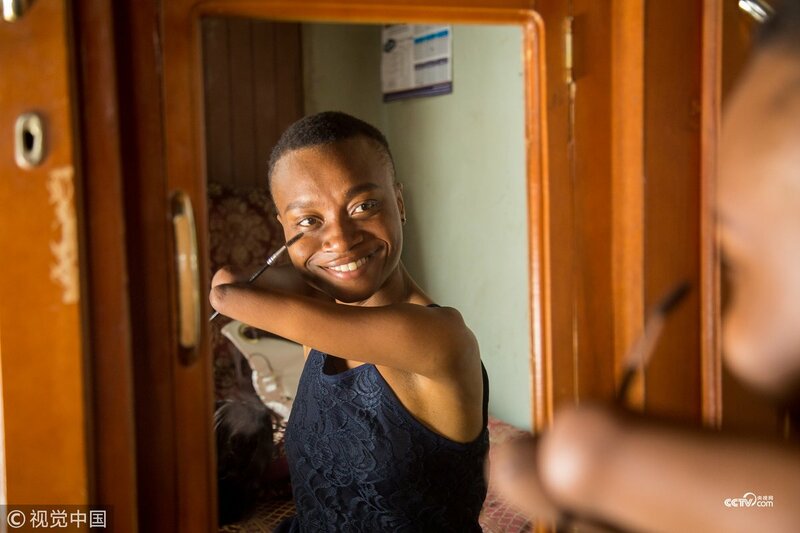 Sinikwe Kademaunga, from Harare, Zimbabwe, manages to do her own and others makeup and hair without hands - using just her arms, which end at the elbow. The pretty 24-year-old has an unknown disability that caused her limbs to stop growing in the womb, leaving her with shortened legs which stop before the knee. Sinikwe now educates about disabilities in her native country, and inspires thousands at her speaking events and online. I hope those who say life has not been fair to them and at any open avenue, they have someone to blame for their shortcomings would have a change of heart after reading this article. Sinikiwe Kademunga, the 24 years old Zimbabwean student and blogger is blistering that nothing in this world is impossible as long as you set your mind to it. Although Sinikiwe was born without knees and arms, she didn’t allow that pulverized her, not even her cultural, social, physical and economic barriers was able to stop her from inspiring her generation. Sinikiwe who was raised by her grandmother in one of the rural areas of Zimbabwe overlooked all odds to outshine in her chosen field. She started her life by facing an intimidating challenge of going to school each day, a school which was about 15 kilometers walk from her house. She is the winner of the 2016 Courage award for the Zimbabwe International Women’s Awards (ZIWA). Currently she is about completing her degree in Social Work at the University of Cape Town. Sinikiwe also runs a blog named Life in the shoes of a short girl where she shares her life journey to inspire and mentor other young Africans like herself to be more buoyant in their own bodies and believe that anything is possible in life regardless of their physical barriers. If a young lady can chase her dreams notwithstanding all that life threw at her, what is your excuse? 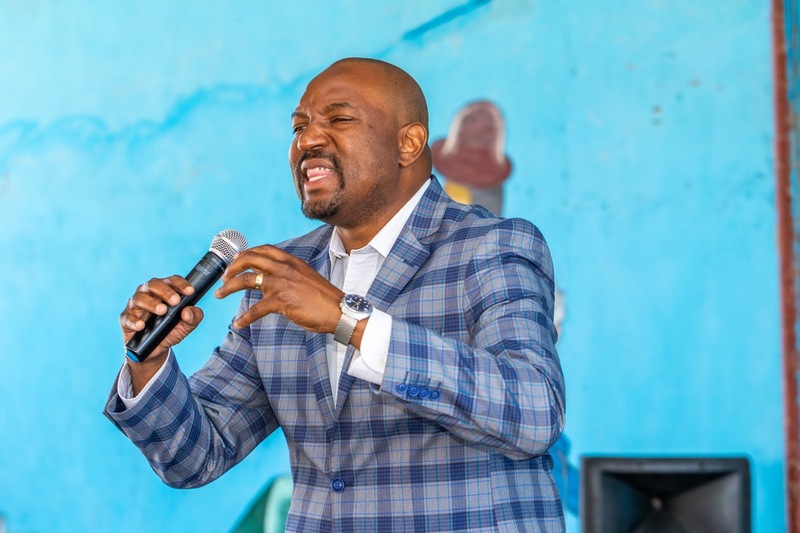 Gallery Of Pictures: Apostle Pride Sibiya Preaches On Possessing The Seven Mountains At Tiyambuke 2018 - Thursday Night! What Are The Seven Mountains? There are seven main spheres that influence society, all other influences are contained within these, and, as God is giving greater revelation in these times, we are seeing His strategy more clearly. The Promised Land, which Joshua was to occupy, had seven nations already in control that needed to be removed so that the Israelites could possess and occupy the land. For we are not fighting against human beings but against the wicked spiritual forces in the heavenly world, the rulers, authorities, and cosmic powers of this dark age. As our battles are not against people, but against spiritual powers, it is wisdom to know the character of the enemy. Ruling powers and spirits always affect the thought life of those under their geographical sphere. Looking at the mountains individually will enable us to have a better understanding of its importance, its effect and the ruling spirits. As we are going to take territory on these mountains this information becomes significant.